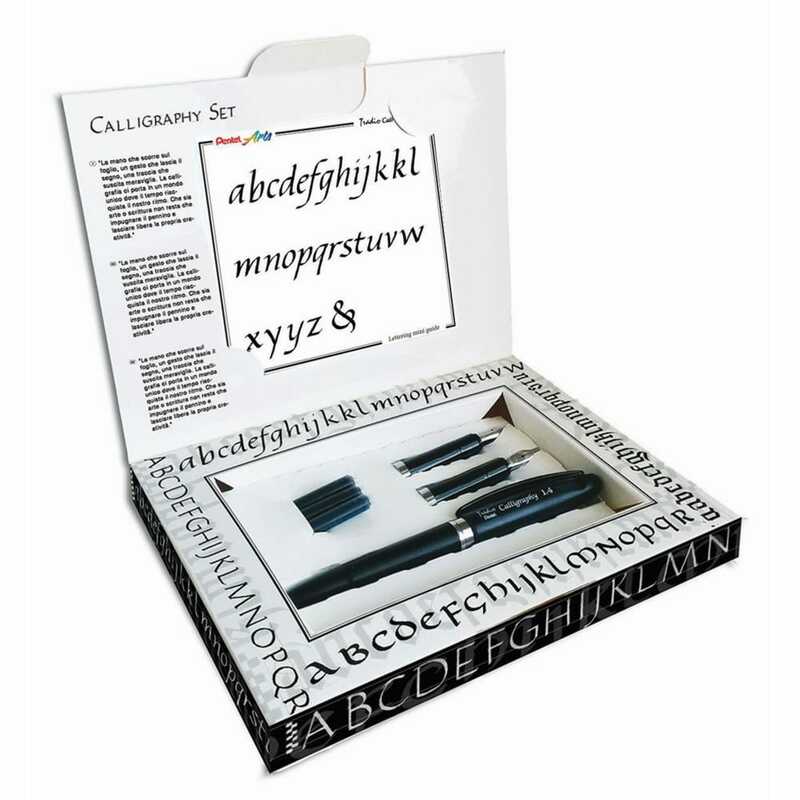 The new Pentel calligraphy set is an ideal gift set for anyone wanting to start their journey with italic handwriting or simple calligraphy. An ideal way to start learning to create beautiful letters which can be plain or elaborate. The Pentel Arts calligraphy set contains a stylish, black barrelled traditional calligraphy pen with 3 different sized nibs, 1.4mm, 1.8mm, and 2.1mm. It also comes with 3 dye-based black ink refill cartridges and a mini alphabet guide to four styles of lettering – Italic, Capitalist Quadrate, Fracture and Uncial.